Chiropractor Andrew Smy is expanding his services into the Moorlands town less than two years after setting up Peak Chiropractic in nearby Stoke-on-Trent. Peak Chiropractic has taken consulting rooms inside Leek Health Centre, in Fountain Street, and will initially see patients at the centre on Wednesdays and Fridays. Andrew, a qualified Doctor of Chiropractic and member of the Royal College of Chiropractors, is planning to expand and take on a fellow practitioner, with the aim of providing a five-day a week service in both Leek and Stoke-on-Trent. There are no other chiropractors in Leek and only a handful in North Staffordshire. And Andrew is unique in the area in offering Applied Kinesiology, a speciality which goes beyond general chiropractic procedures to offer a holistic approach by evaluating structural, mental and chemical health. 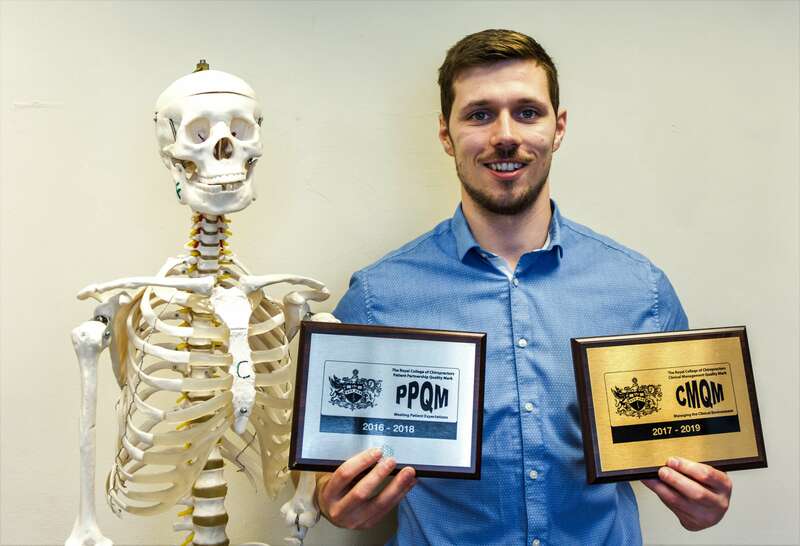 Andrew completed a four-year Master of Chiropractic Degree – gaining recognition as UK Outstanding Graduate of the Year – and set up Peak Chiropractic after working in the sector for around nine months. In his first year as a business owner, Andrew, aged 25, won the Royal College of Chiropractors Patient Partnership Quality Mark and has now also been awarded a Quality Mark for Clinical Management. Peak Chiropractic is the only clinic in Staffordshire to hold both awards. Andrew grew up in the Staffordshire Moorlands, living in the Ipstones area, and now lives in Weston Coyney.